Aetrex Worldwide has bolstered its growing technology division with the appointment of Kumar Rajan as vice president of Technology and Software Development. Rajan will work out of the company’s Teaneck, NJ, headquarters, reporting to CEO Larry Schwartz. Prior to joining Aetrex, Rajan served as the executive director and head of Digital Assisted Channels for Verizon, where he specialized in digital/cloud transformation with a focus on agile development and innovation. He has built a track record of applying machine leaning, robotic process automation and digital bots to solve real-world problems. At Aetrex, Kumar will be responsible for leading software teams in the execution of the company’s technology strategy and solutions in both the U.S. and Israel. Along those lines, Aetrex named three new positions to Rajan’s team. Justin Jenkins, full stack developer; Treavor Keane, computer vision developer; and Alex Choy, machine learning engineer. Jenkins joins Aetrex from First Data, where he served as a senior application developer. In his new role, he will be responsible for the Albert OS online interface and the Foot Passport website. Keane comes to Aetrex from GIA, where he built a User Interface (UI) for matching stones based on resonant ultrasound spectroscopy input. He will be doing first-of-its-kind work applying computer vision to Albert system and help lead algorithm development using 3D computer vision, image processing, machine learning and data fusion for foot scanning devices and mobile apps. Choy, a recent Colombia University graduate, will be pioneering work for Aetrex’s Albert system, applying AI and machine learning algorithms to enable it to adapt automatically and learn over time. 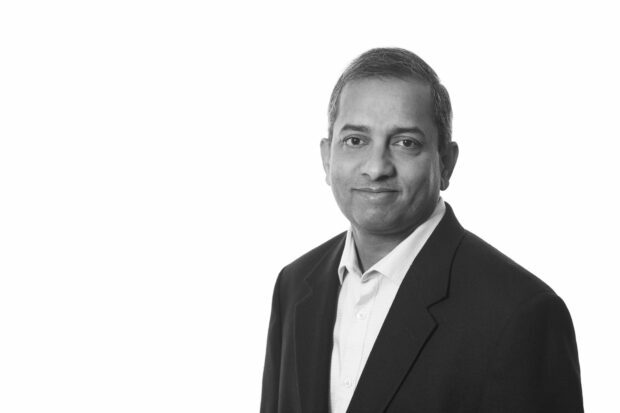 Kumar Rajan, Aetrex’s new vice president of Technology and Software Development.